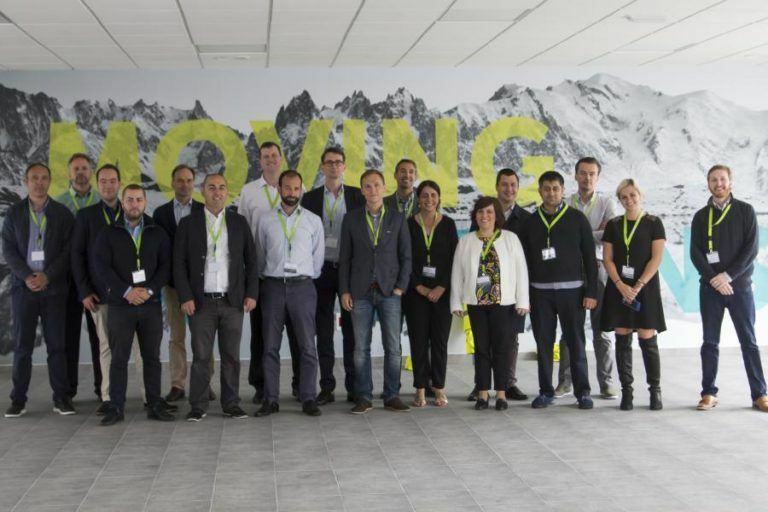 Kaleido Logistics y RocketSpace announced the first cohort of startups in its Logistics Tech Accelerator during the kickoff meeting in Vigo-Spain, where the program founder has its headquarters. The selected startups will join Kaleido Logistics, RocketSpace, Lufthansa Cargo and Ingram Micro to rethink logistics and work toward commercially viable products. The Logistics Tech Accelerator uses an open innovation model to draw from the diverse expertise of multiple corporate members, startups and industry mentors. Selected startups represent emerging industry tech sectors including smart warehouse, smart transport and smart commerce/trade. Among other program benefits, startups will gain brand exposure and be able to validate their product through pilot testing with multiple global corporations. – CargoSteps (Frankfurt, Germany) offers real-time track and trace software that allows different logistics companies of every size to easily work together. – Clearpath Robotics (Ontario, Canada) division – Otto Motors – designs and manufactures self-driving vehicles designed exclusively for material transport. – Eurosender (London, UK) is an online booking engine for international door-to-door shipping service. – Logyc (San Francisco, USA) is Data Intelligence as-a-Service. – Newport Trade Services (Newport, Kentucky, USA) helps manage global trade technology solutions by creating tailored solutions through project management and process controls. – OrderCircle (San Francisco, USA) brings Shopify's ease of B2C order acceptance and management to B2B wholesale orders. – SLiCK (Antwerp, Belgium) offers a cloud-based Logistics Control Tower to manage order collaboration, communication and transport management. – Skuchain (Mountain View, USA) develops blockchain-based products for B2B trade finance and supply chain finance. This week, startups start a five-week online curriculum focused on exploring the key business objectives and roadmaps of the corporate program partners. Following the curriculum phase, the startups and corporate partners will hold private meetings to create individual pilot scopes and launch into the product validation stage of the program. The program will wrap up with a final public demo day in September, where participants will look to unveil a go-to-market solution. These work sessions, that have taken place in Vigo on the 13th and 14th of June, have been sponsored by GAIN – Galician Agency for Innovation – and XUNTA DE GALICIA (Regional Government).